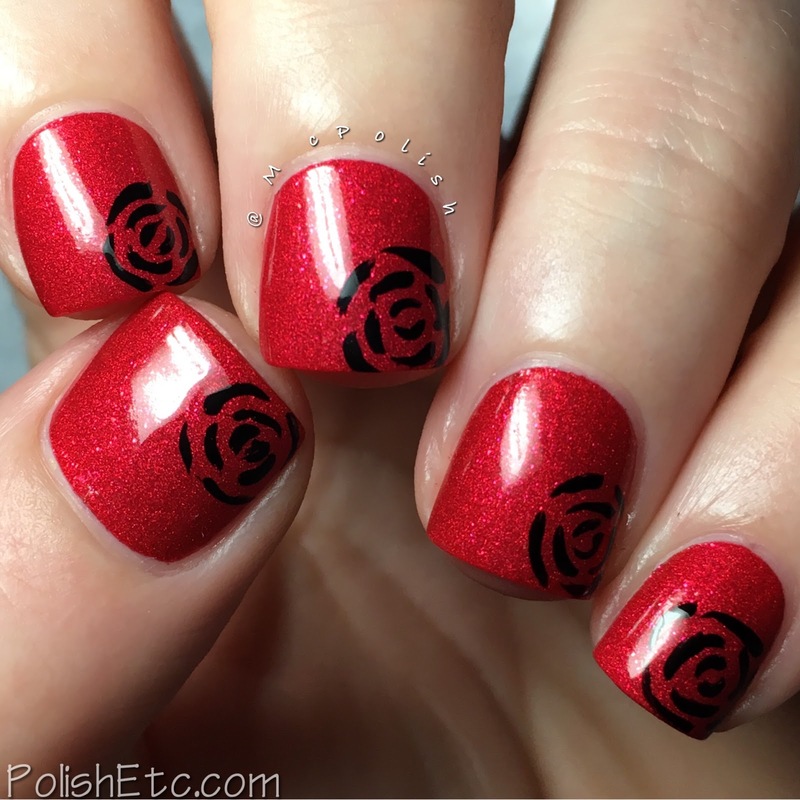 Red Nails for the #31DC2017Weekly - Polish Etc. I am so excited to start up the weekly version of the 31 Day Nail Art Challenge again! I really enjoyed doing this version last year and I hope you all enjoyed my posts as well. For the first 10 weeks of the challenge, we will be creating manicures inspired by colors. Today, it's red. So, I picked one of the sexiest reds I own. 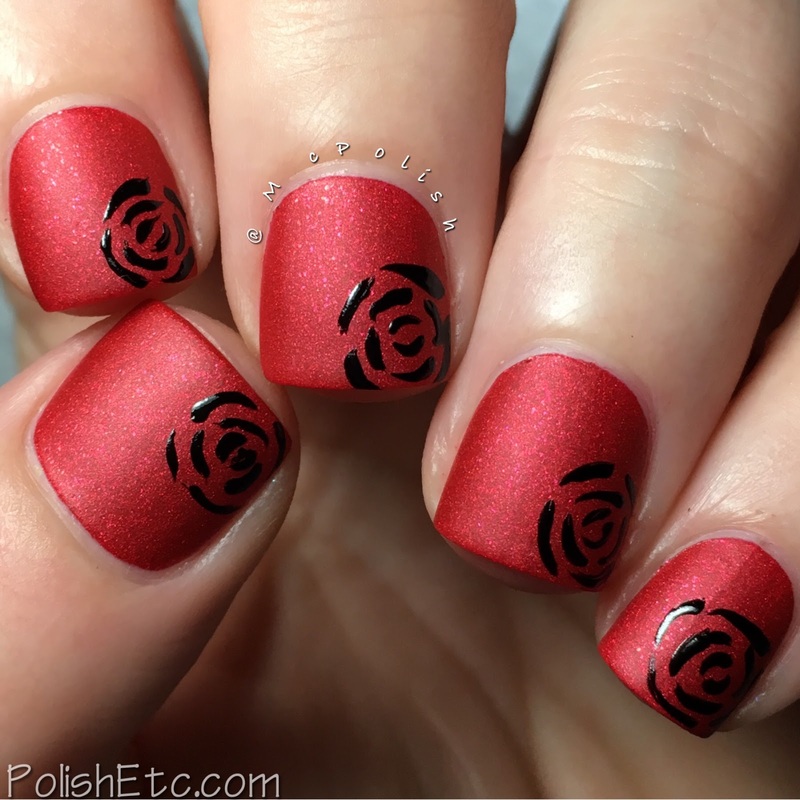 For this manicure, I started with a base of Zoya's Amal. It is one of their matte velvet polishes and it is awesome. It looks amazing in it's natural matte state. I am showing you two coats here but you could easily get away with just one. It dries down matte and dries down fairly quickly. 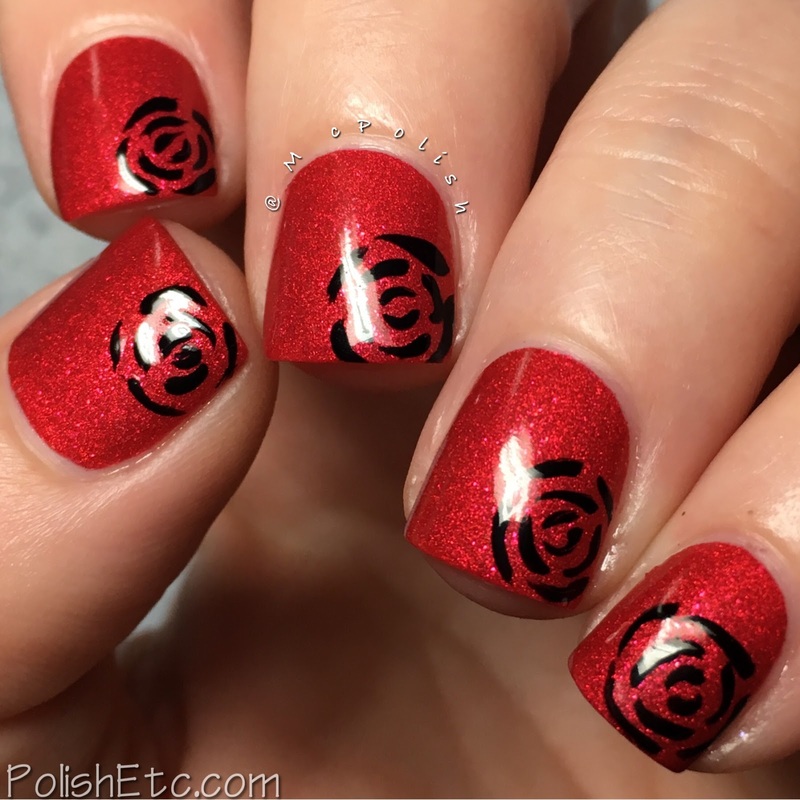 Once it was dry, I added some abstract roses using Cult Nails Nevermore. I like the contrast of the matte base with the glossy design. It may not be the best abstract rose but it will work. Of course, I had to see what this would look like with a glossy top coat. It really brings out the shimmer in Amal. But I think I prefer the matte version much better. Which do you prefer? 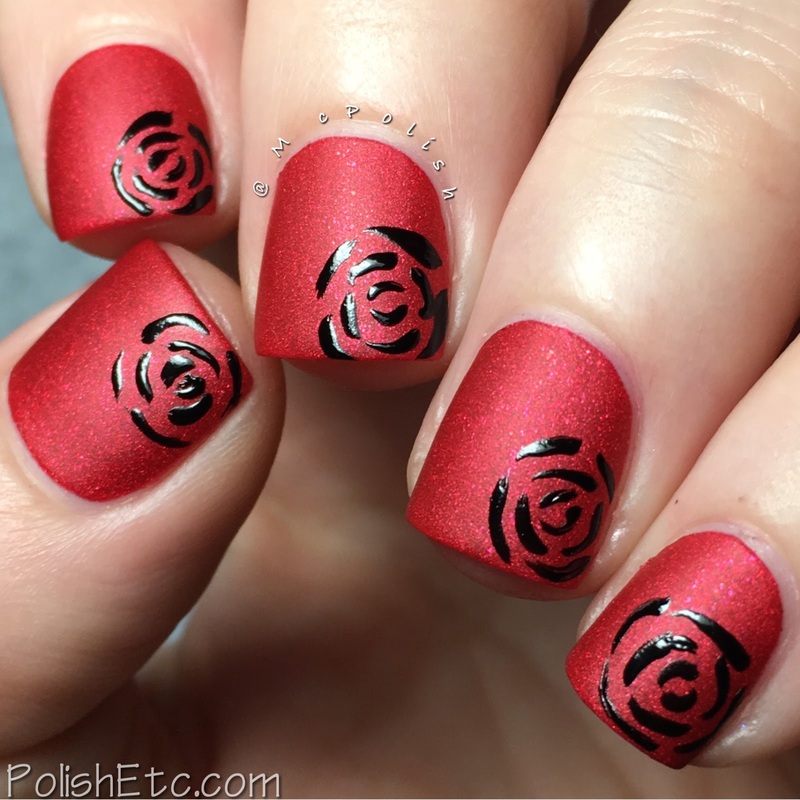 To create the abstract roses, I used the popular Pure Color #10 brush from Whats Up Nails. 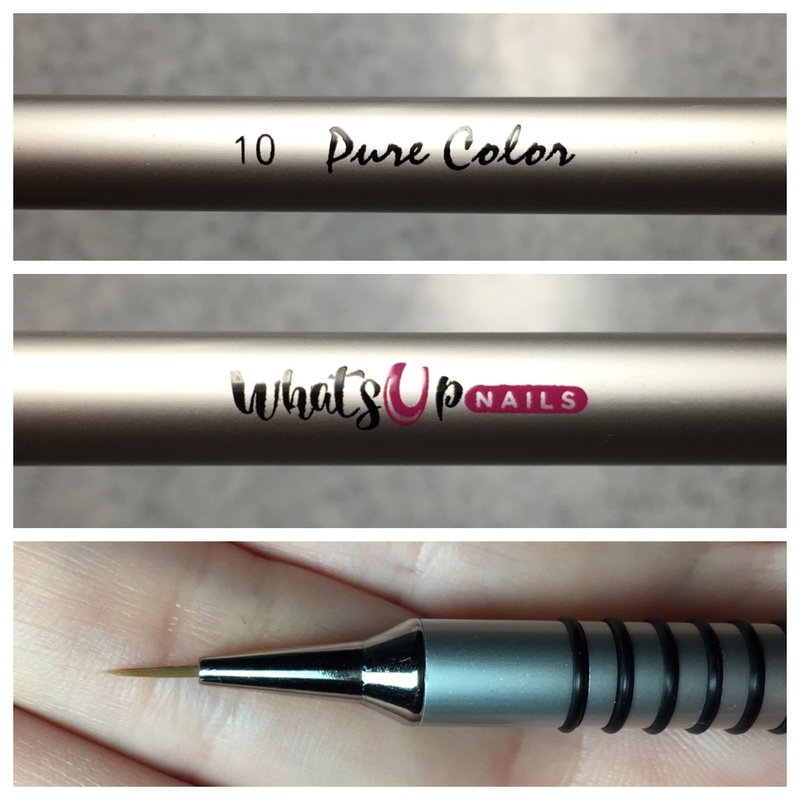 This is a sturdy nail art brush with a very fine tip. It is great for fine detail work. I enjoyed working with it and will definitely be using it for more hand painting in the future. I hope you all liked this easy nail art look. Please feel free to join me in this weekly nail art challenge. There is plenty of flexibility and time to catch up if you fall behind. 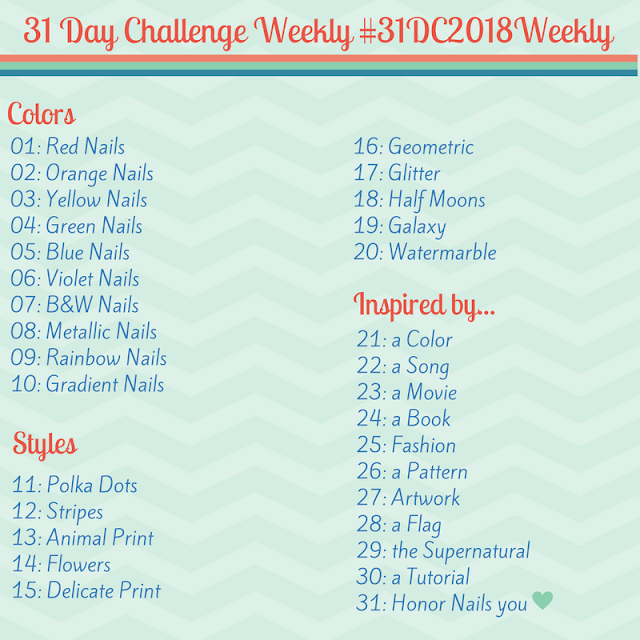 If you want to see everyone else's looks for this challenge, be sure to check out the #31DC2017Weekly tag on Instagram, Facebook and Twitter. This is such an awesome nail art look! Love it!